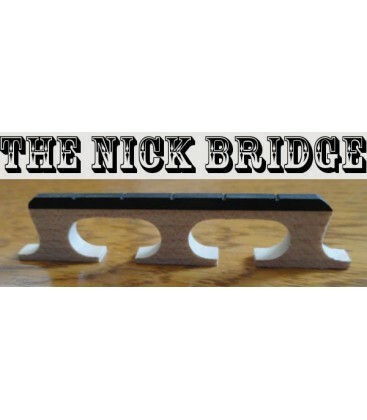 The Nick Bridge is a handmade custom 5-string bluegrass banjo bridge that produces excellent tone. Having the best banjo bridge on your banjo has a dramatic affect on the tone, tuning and clarity of your banjo. 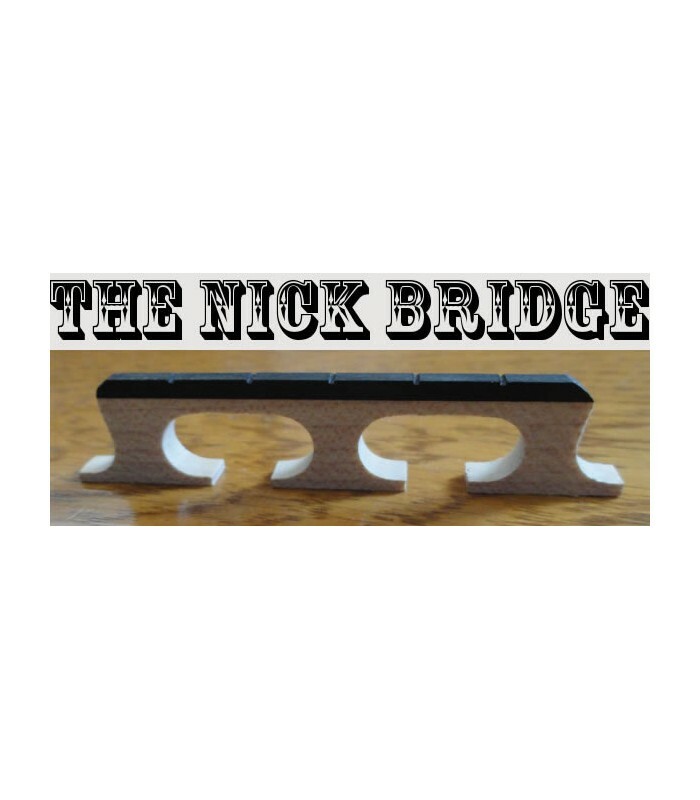 The Nick Bridge is hand made for me with my requested specifications and weight by top banjo bridge builder Dave Wadsworth. 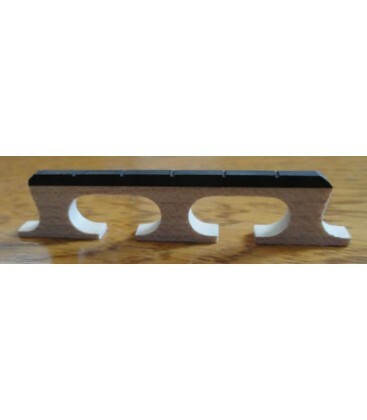 He makes them from the best wood for building banjo bridges and many consider his bridges to be the best banjo bridge there is. 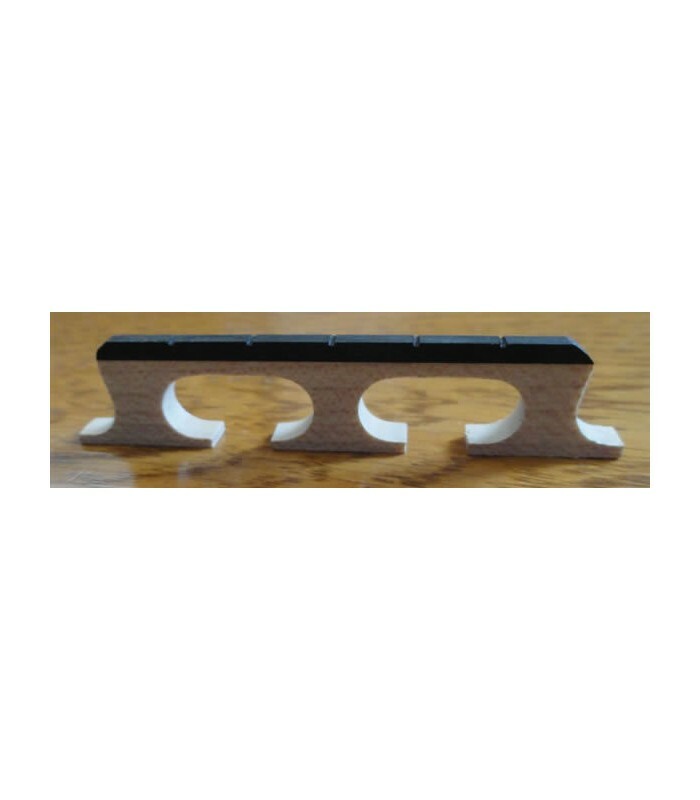 This is not a machine made bridge but built one at a time from an expert on banjo tone and how the bridge on a banjo affects tone and tuning. Through research with my sources for tone and quality I found one of the top craftsman for making bridges and organized to offer the Nick Bridge to my specifications. They are handmade one at a time and tested for tone, tuning and purity.